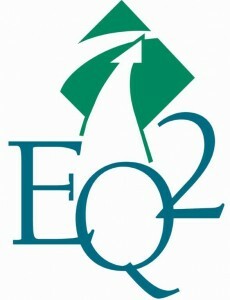 Events for which EQ2 is exhibiting and/or speaking at are listed below. Or go to our IHE Connectathon page to learn about how EQ2 was the only hospital CMMS vendor to successfully connect to, and test with, smart products from several medical equipment vendors in 2015 and 2016. The trade show portion of the event runs October 6 – 7, 2018. EQ2 will be showcasing HEMS CMMS modules and dashboards for Biomedical and Clinical Engineering. Technicians, managers, and hospital leadership are invited to visit us at Booth #209. EQ2 will be exhibiting CMMS Solutions for Healthcare Facilities at the 2018 (ISHE) Idaho Society of Healthcare Engineers Annual Fall Conference October 24 – 26, 2018. The event runs September 20 – 21, 2018. EQ2 will be showcasing HEMS CMMS modules and dashboards for Biomedical and Clinical Engineering. The event runs September 19 – 21, 2018. EQ2 will be showcasing HEMS CMMS modules and dashboards for Biomedical and Clinical Engineering. EQ2 will be exhibiting CMMS Solutions for Healthcare Facilities at the 2018 MISHE Annual Conference September 19 – 21, 2018 as we celebrate “25 Years Dedicated Entirely to Healthcare!”.